So, it's going to be coming soon. August 31 is the date most folks are going for. Today we hear that the camera is getting some major upgrades. First up, the aperture is going to get even bigger going for f/1.6. That's the largest I've seen (the G6 is f/1.8), and then we hear that it's going to have a better piece of glass for the lens allowing more light and colour through as well as reducing distortion. 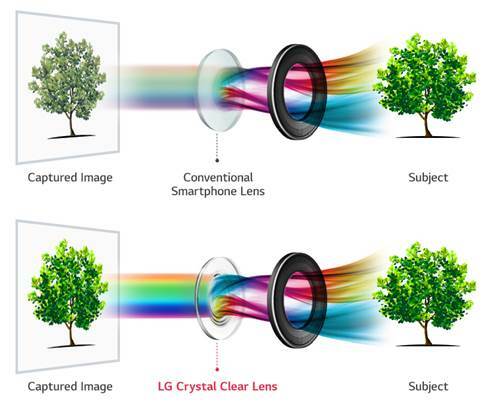 TORONTO, Aug. 10, 2017 — LG Electronics (LG) will incorporate an F1.6 aperture camera and glass lens in the dual camera of its upcoming V30 flagship smartphone, both industry-leading innovations that bring a new level of photographic innovation to the mobile industry. Excellence in smartphone cameras has long been a core competency of LG’s mobile devices and the dual camera module in the upcoming LG V30 will include the world’s largest aperture and clearest lens ever to be featured in a smartphone. LG’s first F1.6 lens is also the largest aperture among existing smartphone cameras, delivering 25 percent more light to the sensor compared to an F1.8 lens. The glass Crystal Clear Lens also delivers greater light-collecting ability than a plastic lens as well as better colour reproduction. This makes the V30 particularly well suited for photography and videography. In all areas, the camera in the LG V30 is superior to the camera of its predecessor, let alone other smartphones. The camera in the V30 cuts edge distortion by a third compared to the V20 when capturing wide angle shots, making it ideal for group photos, spacious interiors and expansive landscapes. Even with all these improvements, the rear camera module of the LG V30 still manages to remain svelte, 30 percent smaller in size compared to the V20. Paired with LG’s specialized UX featuring laser detection AF, optical image stabilization and electronic image stabilization, shutterbugs will find the V30 as easy and convenient to use as its predecessor.